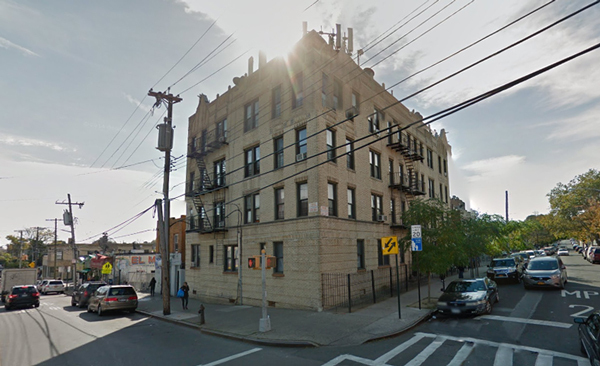 The owner of a 23-unit multifamily building in the predominantly Latino neighborhood of Corona, Queens, sent his tenants a letter demanding they provide proof of their legal residency or face eviction. Tenants of the building at 95-36 42nd Avenue received the notice last week demanding each leaseholder show up at the property’s management office with a photo ID, Social Security card and proof of both employment as well as “Your status in the US (Green card or Passport),” the Daily News reported. Landlord Jaideep Reddy apologized after the newspaper started making inquiries, and said the letter came after more than a year of frustration over trying to gain access to apartments to make repairs following a fire. Reddy bought the four-story building at the corner of Junction Boulevard and 42nd Avenue for $2.78 million in 2012, property records show. He said the electrician wrote the letter. “That was stupid on his part,” Reddy said. The electrician, Eddie Peralta, said his secretary wrote the letter before he went off on a rant about undocumented immigrants. State Senator Jose Peralta said he plans to file a complaint with the state Attorney General’s office about the letter, which he said violates the city’s Human Rights Law banning discrimination based on immigration status.